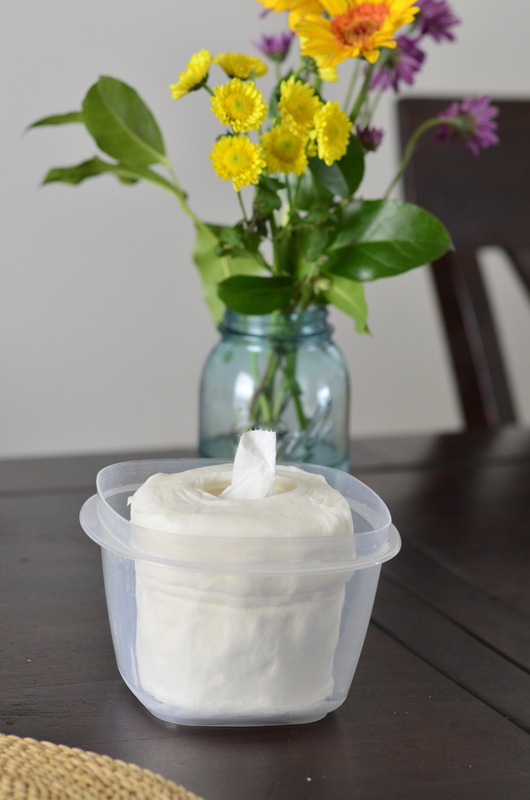 Easy, Homemade, All-Natural Baby Wipes! | Live. Love. Run. I try so hard to use all natural, organic, and chemical-free products with my little Daisy, but for some reason, I talked myself into using regular old baby wipes, Costco style, because it was convenient and less expensive than the more natural alternatives. I had originally bought dozens of cloth wipes to go along with the cloth diapers, but I wasn’t loving them. They were too thick and didn’t allow me to clean all the nooks and crannies, and natural baby wipes can be 3.5 times as expensive as the Costco brand. In 4.5 months, we’ve probably gone through 4-5 boxes of Costco wipes, which is 4,500 wipes and about $100. For each baby, if potty-trained by 2 years, it will cost $480 for baby wipes. That’s ridiculous, not to mention, I am literally wiping a list of about 20 different chemicals on my baby’s sensitive little buns. 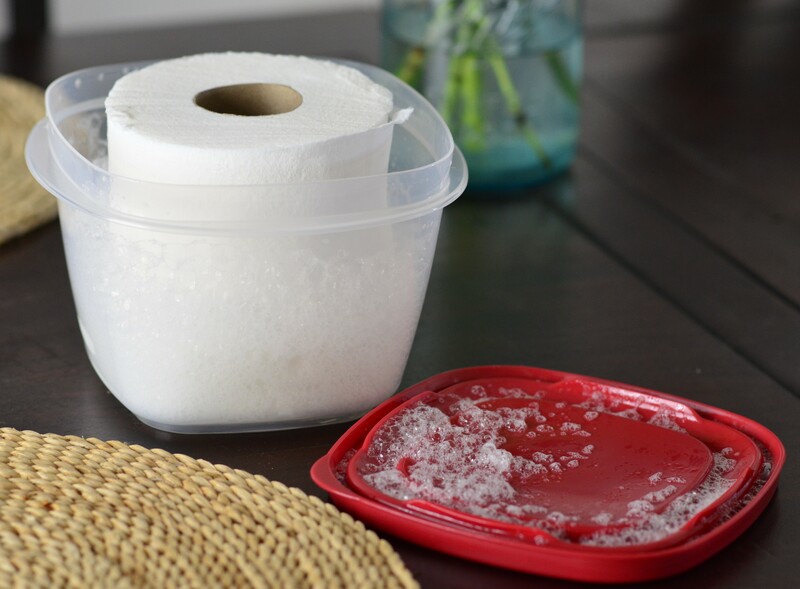 After a couple harsh diaper rashes, I realized that something had to change and looked up natural alternatives for baby wipes and found a great blog, called the Wellness Mama, that gave me an awesome recipe. I was super excited to try it out and thought I’d share it with all of you. Paper Towels – Cheap towels will not work. I used Viva, because they’re really soft, but they do crumble ever-so-slightly if I wipe too much, so I think I’ll try Bounty for the next batch. 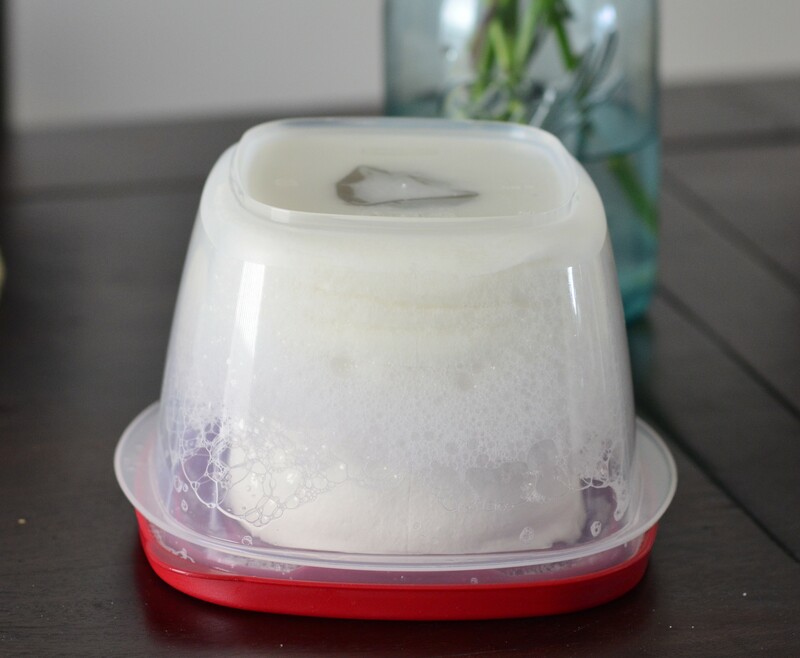 Wipes Box – I used a RubberMaid 7 cup container with an ‘Easy Find Lid’ that worked perfectly. You can just use an old baby wipes box too, but you’ll have to unravel and fold the paper towels into your box. 1 Tbsp Pure Aloe Vera – this is really tough to find. Almost EVERY bottle of Aloe has at least 1 other ingredient. I found a bottle of Pure Aloe Vera Juice at my local health food store, that was good for drinking, that only had 2 other ingredients in it; Citric Acid (pH Stabilizer) and Potassium Sorbate (a salt that is a mold inhibitor). 1 Tbsp Pure Witch Hazel Extract – no more than 14% alcohol, but that’s pretty much standard. 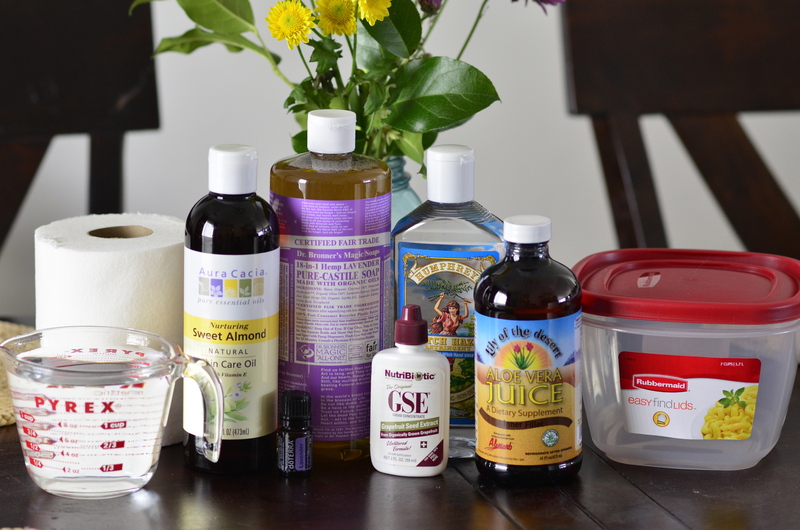 2 Tbsp Liquid Castille Soap – Dr. Bronner’s brand seems to be the most popular. 1 Tbsp Olive, Almond, or Coconut oil – I used Almond Oil. This is also optional, and I may try my next batch without the oil or with another one. It just leaves kind of an oily smell on my skin, once it dries. 6 drops of essential oil of choice – Optional. I meant to use Lavender, which is really good for soothing and is a natural antiseptic, but I forgot to add it, because the Dr. Bronner’s Castille soap was already infused with Lavender. Cut your paper towel roll in half. Mix your ingredients in your container. Place the paper towel roll in the container and watch it quickly absorb the mixture. As the roll softens, you’ll smash it down so you can put the lid on the container. Turn it upside down, so the mixture is absorbed into the rest of the paper towel, and leave for 10 minutes. 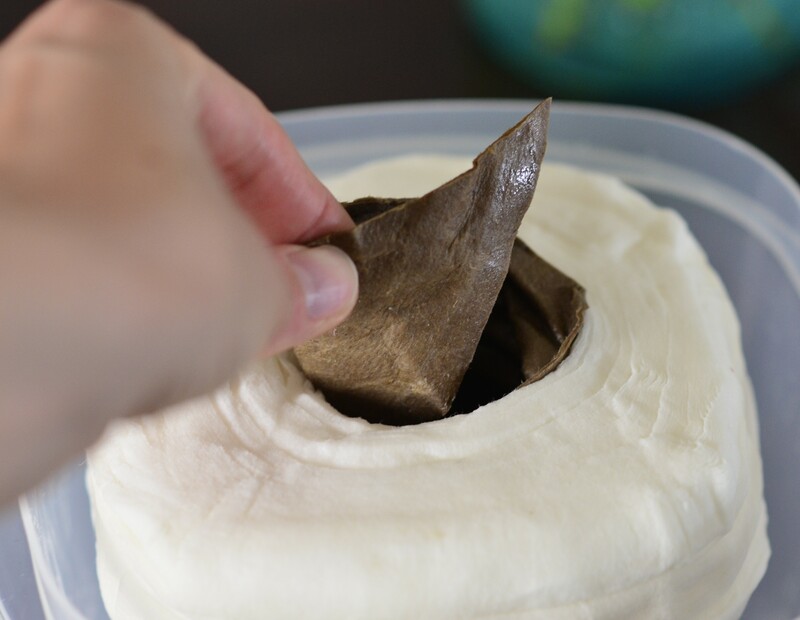 Remove the cardboard center, and voila!, you’ve got your first all-natural homemade batch of baby wipes!! Like I said before, I think Bounty towels might work a little better. The Viva is soft, but the Bounty towels seem a little tougher to me. For my next batch, I may not use the Almond oil. Almond oil contains Vitamin E that is nurturing for the skin, but I didn’t realize how expensive it was. At 17.99/bottle, it increased the total cost by over 40%. I’d rather use something a little more cost-effective like coconut oil. Total cost per “natural” brand wipes (think BabyGanics/Seventh Gen/Honest Co.): $.04 – $.07 <– What a HUGE savings! Nice! Saw the doterra lavender oil! Roman chamomile is another great essential oil to use in these wipes.